Hey, are we dealing with high-tech cloud stuff here – the definition of information technology doesn’t say anything about having to deal with contracts. Why should a CIO have to worry about something as boring as how you set up a contract with a cloud provider? It turns out that there may be nothing more important than figuring out what needs to go into the next contract that you set up with the company that’s going to be providing you with cloud services. What’s currently missing from the pages and pages of contract terminology that are in the cloud contracts that CIOs are signing these days is contract language that covers the types of service guarantees that you are going to need. As you put more and more of your company’s critical business data into a provider’s cloud, you’re going to need to have some assurances around the portability of that data. One of the big things that’s missing from cloud provider contracts is a discussion of the amount of bandwidth that would be made available to your firm as you were leaving their cloud. The provider has no problem making a bandwidth super highway available to you in order to move data in; however, it’s entirely possible that you might have to use a bandwidth dirt path to get your data out. As you move more and more of the company’s applications into the cloud, application security is going to become a big problem. Specifically, managing how your users log into the multitude of applications will become a major IT management chore. What seems to be missing right now is any way to allow a user to authenticate themselves to one application and then use this to gain access to other applications. This type of authentication can be done by such commercial applications as Facebook to other 3rd party applications today; however, no equivalent exists in the enterprise space yet. As a CIO you could get around this issue by going to the effort of implementing some form of single-sign on. However, it would be much easier if the cloud provider would provide you with the prebuilt identity management connectors that you really need. One of the great unanswered questions when it comes to cloud computing is exactly how a firm can transfer processing from its corporate private cloud to a public cloud. We’ve spent a lot of time talking about which is better, private or public, but not enough time has been spent talking about how the two can be used together. Where this is going to become important is when a firm needs to tap into the public cloud for additional processing capacity when they are running such major applications as risk analysis. What’s currently missing are the tools that they’ll need for transferring workloads between the company’s internal private cloud and their selected external cloud computing provider. There is no question that cloud computing is here to stay. The economics of using cloud computing are just too compelling and it will end up boosting the importance of information technology to your company. However, since cloud computing is so new, not all of the details have been worked out yet. What this means for CIOs is that there are some important answers that need to be gathered as you plan your company’s journey into the cloud. These issues include how cloud contracts are structured, how identity is managed in the cloud, and how applications can be transferred between private and public clouds. The good news is that none of these questions are unanswerable. The bad news is that the answers don’t all exist in one place right now. It’s going to be your job to go out and get the answers that you need so that your cloud computing efforts can fly high! 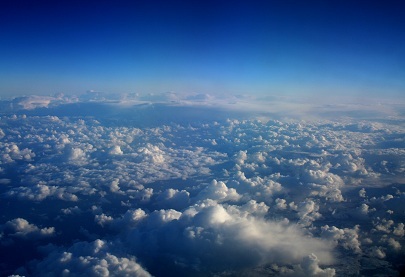 Question For You: When public clouds get more robust, do you think that there will still be a need for private clouds?